Aproximately 4 times per year, Family Promise comes to Covenant for the week. The families bring their belongings and their dreams. Volunteers from various churches (Kanapaha Presbyterian, Grace Methodist, Grace Presbyterian and others) bring volunteers, lots of food and an even greater amount of love and energy. 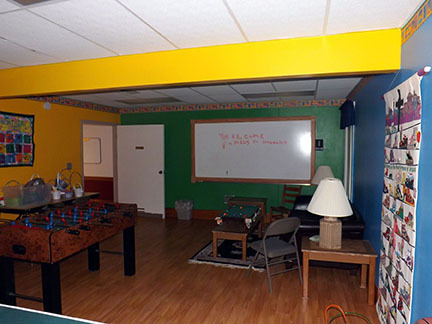 Covenant provides the facilities – rooms and kitchen – for the families to live in for the week. For that week we become one community, learning and growing together. 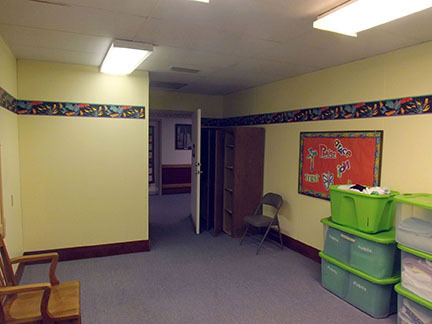 Family Promise of Gainesville works through the collaborations of local faith communities like ours to provide homeless children and their families compassionate care that includes case management, education, housing, meals and transportation until they can transition to a home of their own. For more information about Family Promse, please see their newsletter.